Rabble Rabble used to be the band that showed up on just about every single good bill in Chicago. Then they were the band that documented their trip to Austin, TX, giving us one SXSW vlog a day. As if they weren’t already the hardest working band in Chicago (didn’t they just release a live LP in March? 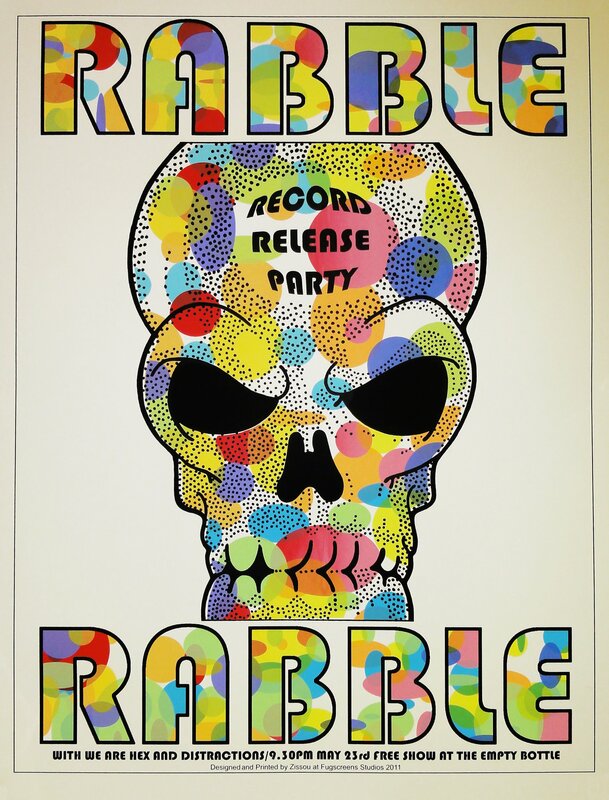 ), now Rabble Rabble is finally going to be the band that takes over your record player. During their tour of the east coast last summer, Rabble Rabble recorded two songs at Gimme That Sound Studios. The resulting 7″ will be released on May 23rd at the Empty Bottle. Now, I’ve never been overly impressed with Rabble Rabble’s recordings; I think they have much more to offer in a live setting. But the new 7″ from Chicago’s psych poster boys (and girl) is a different story. 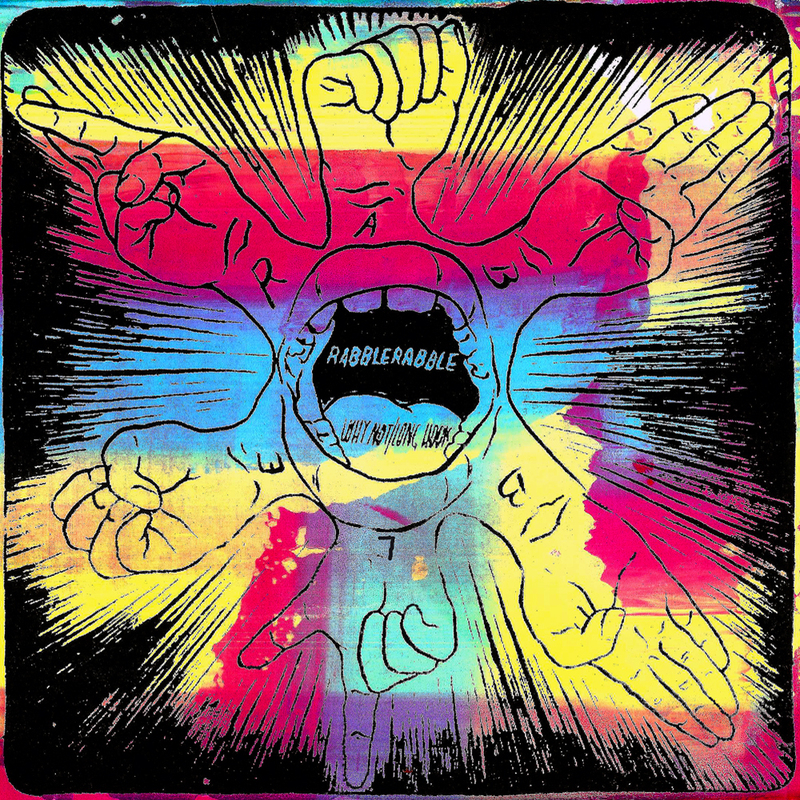 The lead off track “Why Not?” gives listeners that same psychotic psychedelia they’ve come to know and love from Rabble Rabble, but this time in a more controlled environment. “Why Not?” would feel right at home in any movie chase scene (think Duel on Acid). The b-side, “Long Hook” sounds like a lost track from the Kinks’, Village Green Preservation Society, but on speed and a whole bunch more acid. Though most of the song is sung through three-piece chants, the lead vocals even sound like Dave Davies on this one. Tags: 7", Chicago Garage, Distractions, Empty Bottle, Long Hook, May 23rd, Rabble Rabble, Record Release Show, We Are Hex, Why Not?